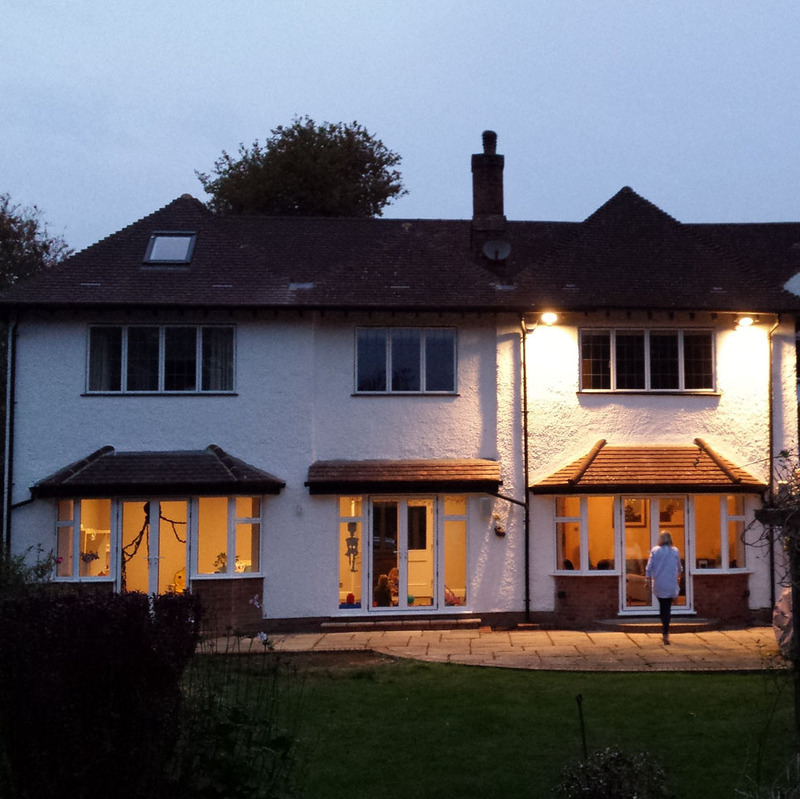 Extension to 1930s house in Croxley Green: new kitchen-diner, terrace and entrance lobby. 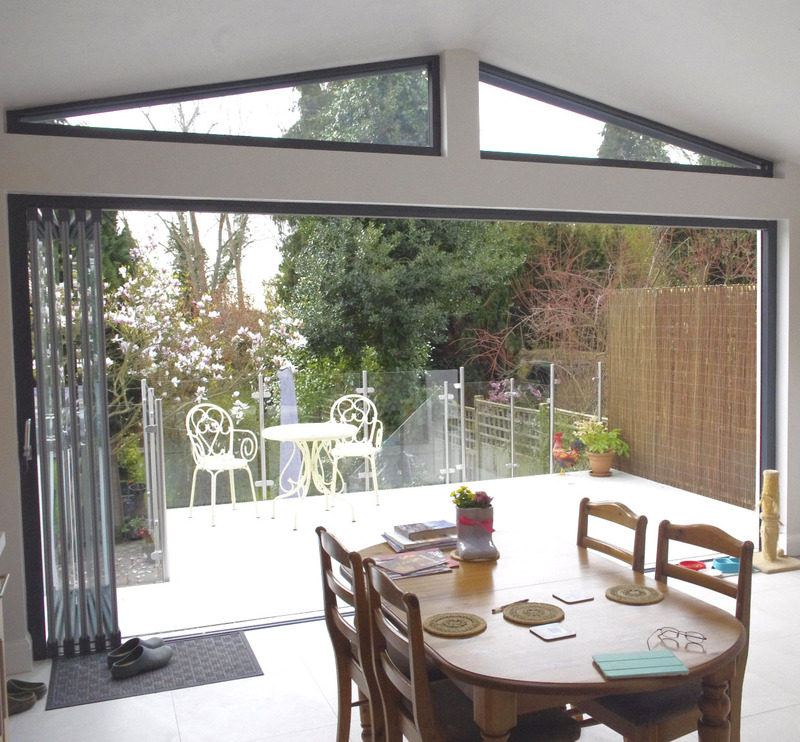 Frameless glass bi-fold patio doors fitted to maximise views. 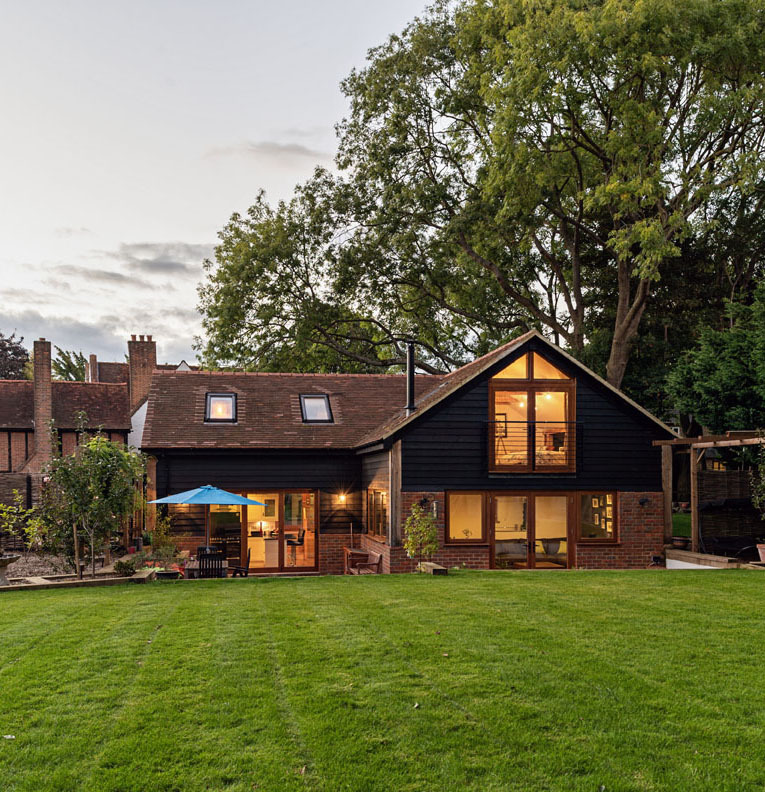 Major extension to existing Arts & Crafts style house in Chalfont-St-Giles, including new en-suite master bedroom and games room. 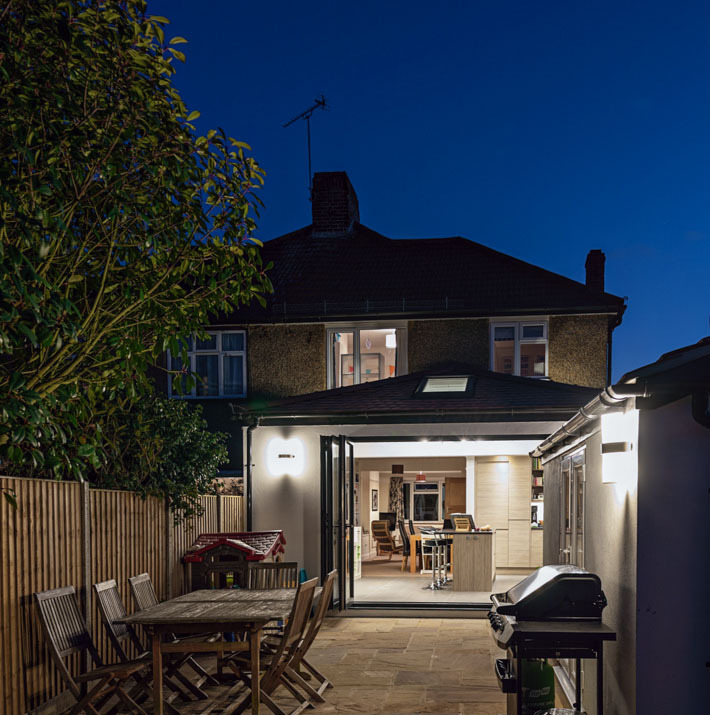 Kitchen-diner extension to semi-detached house, with new study outbuilding and patio. New build construction within the grounds of a Grade II listed hall and granary. 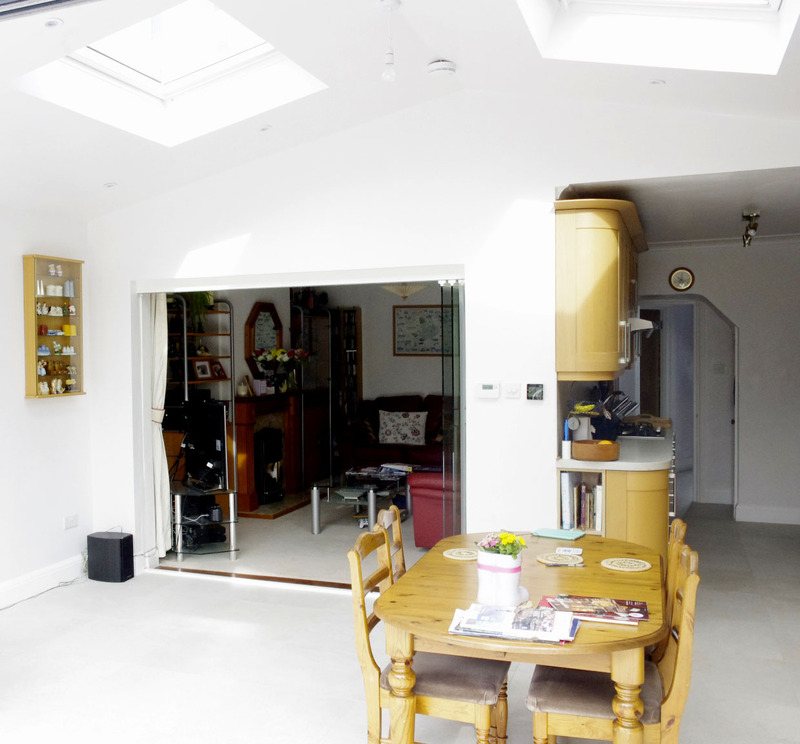 Four bedrooms, large living room, kitchen-diner, utility, and games room. 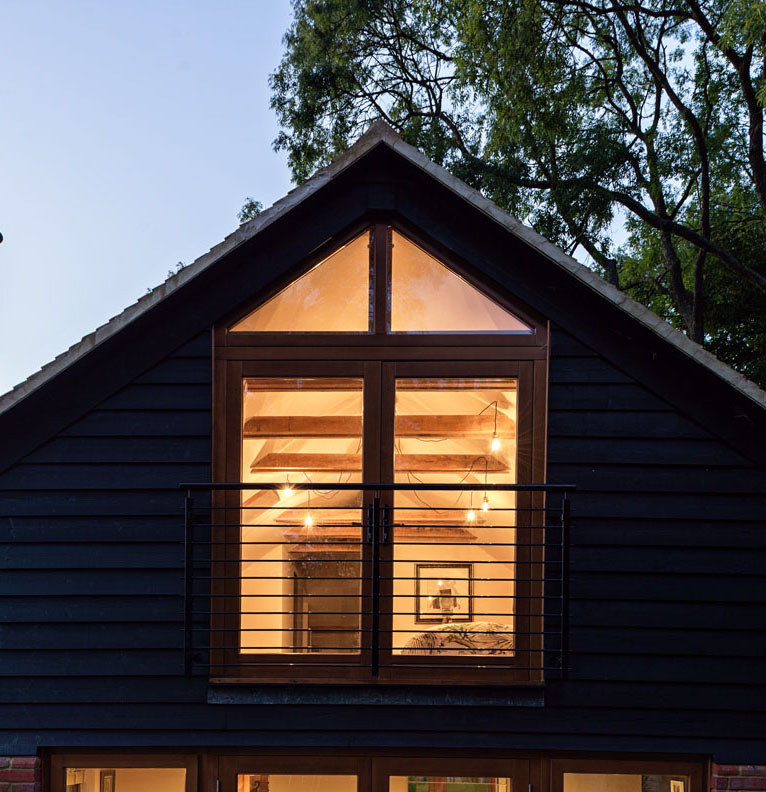 Energy saving measures achieved through combination of high insulation, site design and air source heat pump. 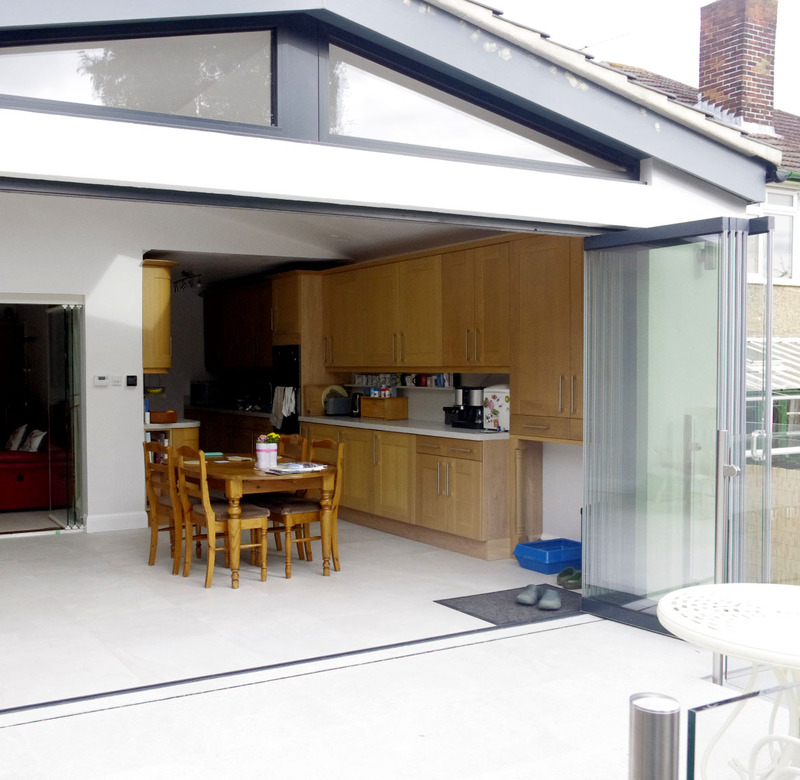 Existing detached house with integral garage. 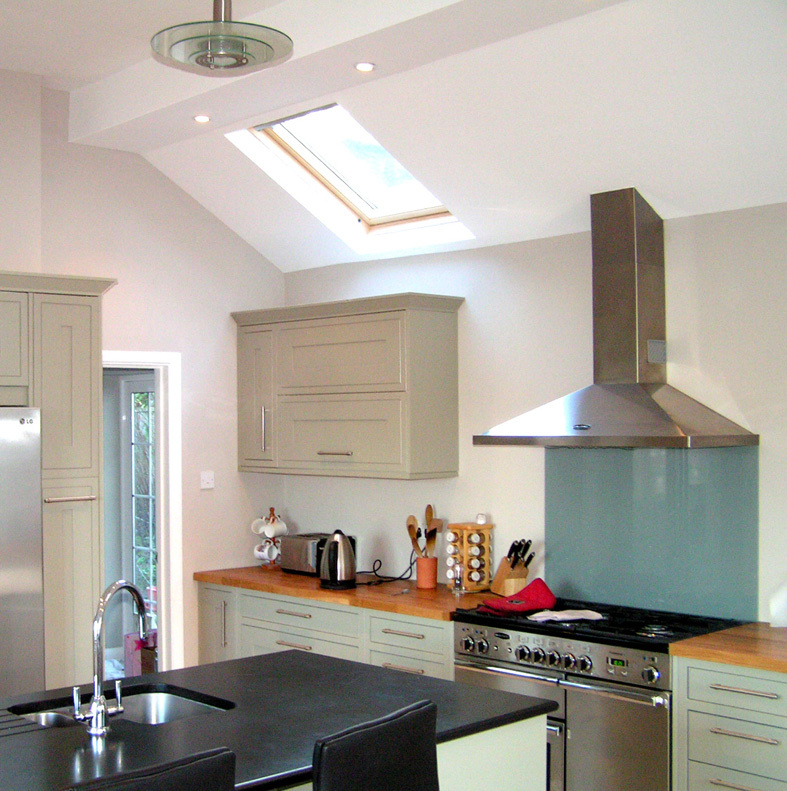 Garage converted to new kitchen/family area, and existing kitchen converted to utility room. 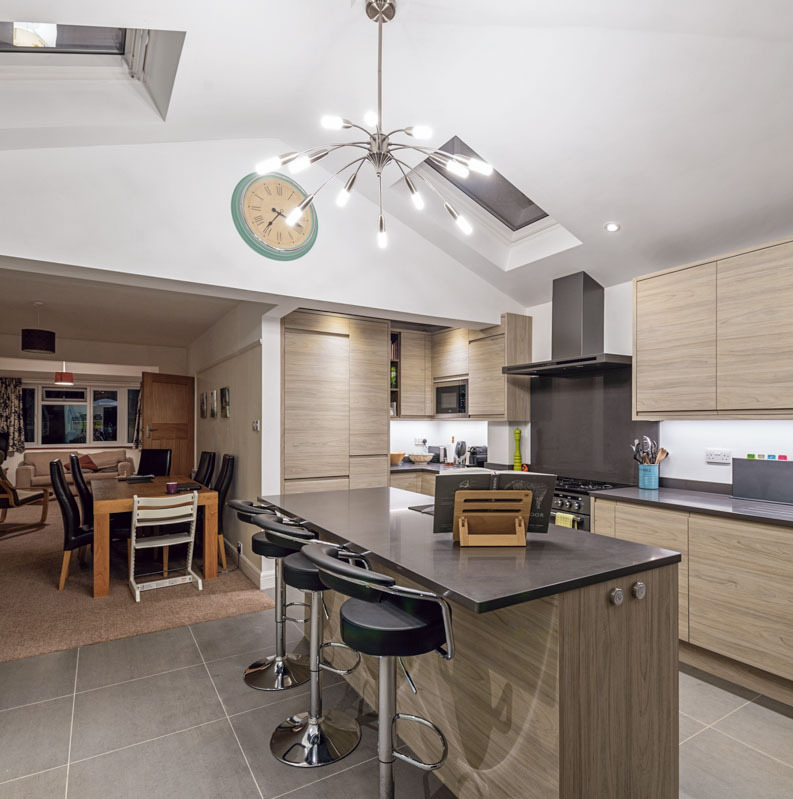 Existing detached house: ground floor re-organised and refurbished to improve entrance lobby, kitchen, dining and family areas. 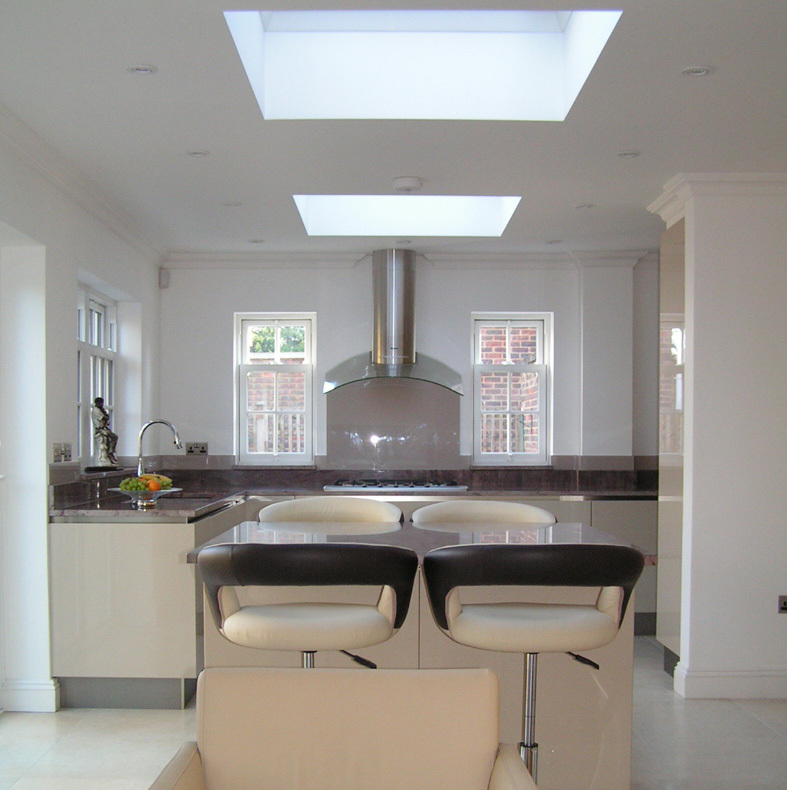 Works carried out with planning approval within an Area of Special Character. 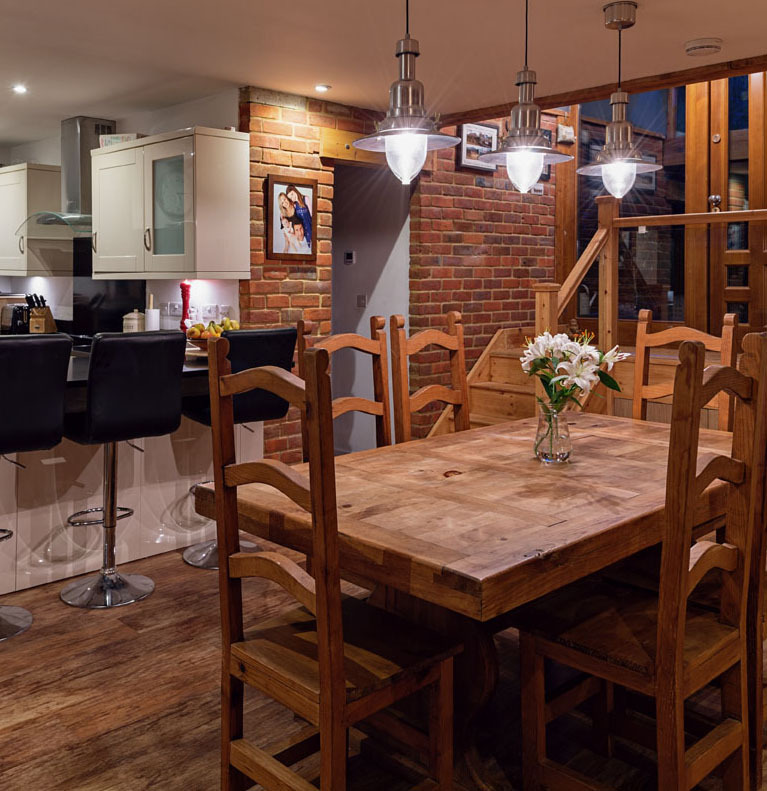 "You have been brilliant and I would not hesitate to recommend you"
"TEC was able to pluck the dreams and desires and design a house that has exceeded all expectations"
"Thank you for all your invaluable help. 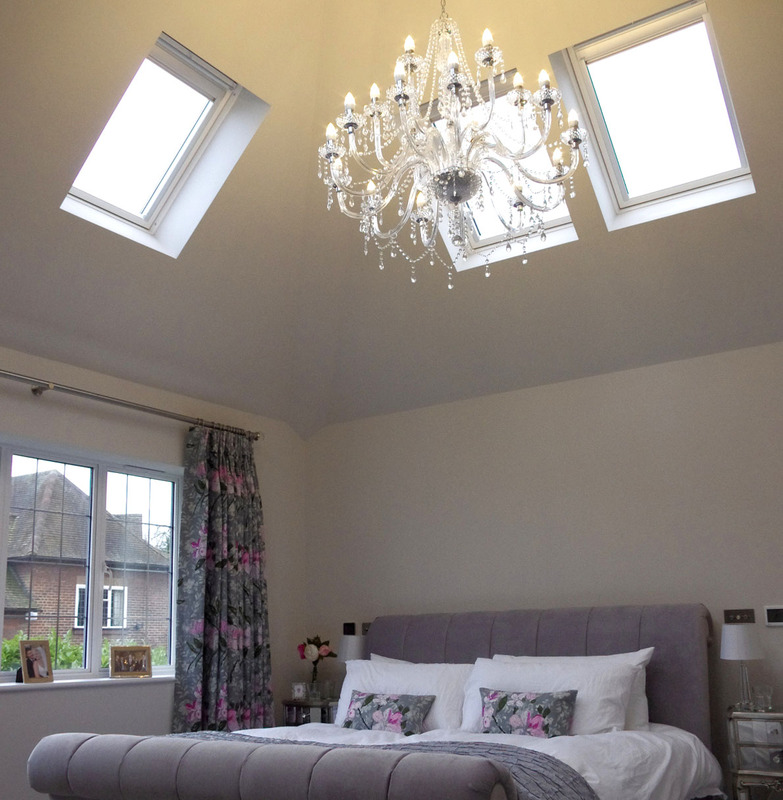 Your insightful advice lead us to a more practical, affordable and attractive solution." 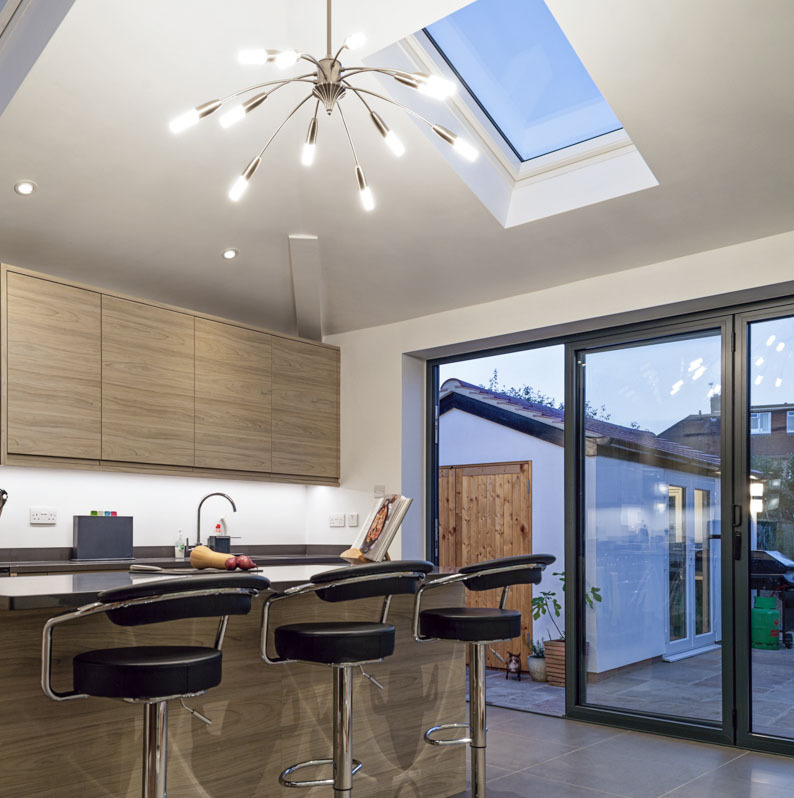 "TEC made a significant difference to the quality & design of our extension & their support throughout helped overcome any problems"
Copyright TEC Architecture 2019. All Rights Reserved.